At 2:58am last Friday, 4-year-old Annabelle Mager stepped onto a bus with one goal: MUST. FIND. 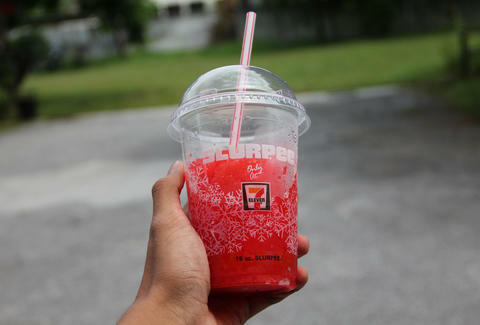 SLUSHIE. The toddler’s solo quest took her across four rain-streaked streets from her home to a city bus near the Tacony neighborhood of Philadelphia. The bus driver quickly called his control center and waited for police to arrive, and, within an hour, Annabelle was safe back home with her parents, who were unaware their daughter had slipped out the back door. Not to be thwarted from her mission, in a post-adventure interview, she asked her Mother, “Can you take me to Wawa and get me a slushie?” Proactive and resilient? We move that this kid deserves a slushie, ASAP. Rebecca Zhu is a Food/Drink intern and wants to send this kid four crates of slushies for her gumption. Follow her to munchies: @rebeccaz48.